Are you brave enough? Cause we are looking only for such person! These cool adventures are waiting for you! Live the adventure where the main hero Gandalf will rescue the Dwarves and even more! Help Gandalf the Grey sneak past The Goblin King and set them free! Discover the cave’s functions, secrets and hidden treasures as you fight your way to freedom by firing the catapult, collapsing the rope bridge, lifting the bucket crane, tipping the ladder and finding the map. 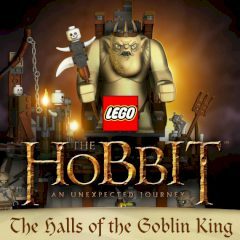 Defeat The Goblin King in an epic underworld battle! And beware The Goblin King throne’s trapping function! We wish you good luck!